As we make our presentation this evening, we shall see Clifton offer a defense of Bertrand L. Comparet, Wesley A. Swift, William P. Gale and Nord Davis. While we can defend these men for their profession of what we call Two-Seedline, we do not have to agree with everything which they taught or said. Rather, we must understand that they were merely men, and that while their studies have helped us tremendously, they were also imperfect, and it is our duty to improve upon their teachings where they themselves fell short. As Paul had said, we all sin – or make mistakes – and therefore we all fall short of the glory of God. But that is not an excuse to be slothful in our scholarship, or to cleave to errors for the sake of men. I have told this story in various ways in the past, but now I am going to summarize it again: When I became acquainted with Christian Identity in 1997, for about a year I read and appreciated Swift, Comparet, and a host of other Identity writers to whom I am indebted. But when I decided to study it seriously, I wanted to prove it for myself. So by the end of 1998 I set aside all of the Christian Identity materials so that I could concentrate solely on Scripture, language and historical studies that would either prove or destroy what I had read from those other writers. While I did continue to purchase some Identity books and pamphlets after that time, it was mostly only so that I could give them to others who wanted to learn. Around that same time, I was introduced to the writings of Clifton Emahiser by a good friend and long-time student of Christian Identity named Ralph Daigle. So at Ralph’s insistence, I began to read Clifton’s Watchman’s Teaching Letters. 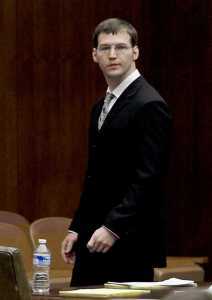 Some time later I became involved with Clifton, after I wrote him several times to contend with him on certain topics. Soon, our relationship grew out of the common understanding that we were both interested in getting to the truth of the matters of Scripture and Christian Identity, and especially Two-Seedline. But even then, I had no concept of what we might accomplish, or how far our relationship would grow. Over the ensuing years, Clifton and I, along with a couple of other friends, had exchanged letters both evaluating and debating many of the common Identity teachings which were popular at the time, and which are still popular today. Among these are the so-called “6th and 8th Day Creation theory” and the idea that the creation of non-White races is recorded in Scripture. After a great deal of study and discussion of these issues, we now reject those concepts completely, even though they were taught by both Swift and Comparet. 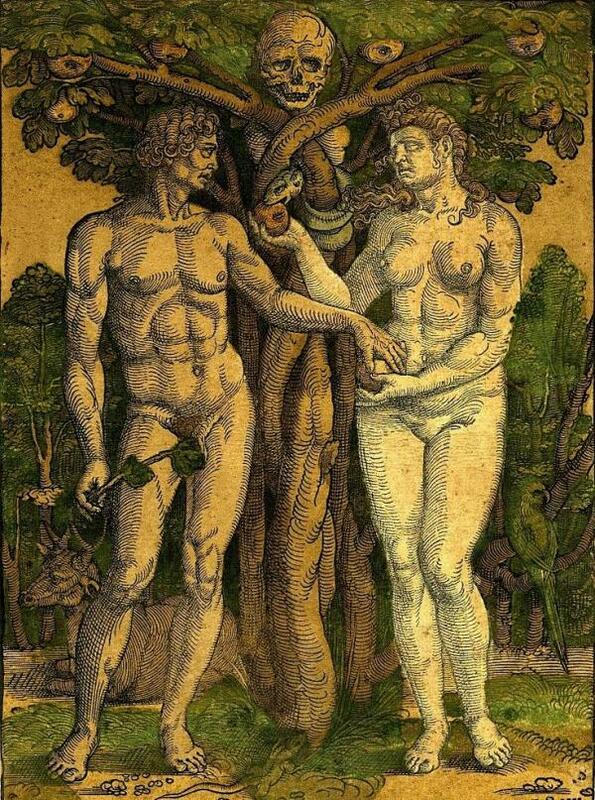 While Swift and Comparet taught the so-called “6th and 8th Day Creation theory”, others in Christian Identity who have rejected the notion that the adamic man of Genesis chapter 1 represents the other races have nevertheless conjectured that those other races are found in the chay ‘erets, or beast of the earth, mentioned in that same chapter. We also reject that notion as both unscholarly and unscriptural. Comments I made during this podcast relating to John F. Kennedy and the Federal Reserve are now posted in the Christogenea Forum. One facet of recent American history which I have not touched in any of my studies are the Kennedy assassinations. Perhaps that is because such a great amount of revisionist work – both good and bad – had already been done in that field even before I could get a chance to study it. But admittedly, I have not even taken the time to study which revisionist work offers the soundest treatment of the matter. The Michael Collins Piper book, Final Judgement, is often applauded, and I think it certainly blames the right culprits for the assassination, but I have not even read that. Looking at the field of available work, there seems to be a flood of conflicting theories floating around revisionist circles, and perhaps the subject is best left to someone who can specialize in this one area. Thinking about tonight’s program, this morning I read an article at the Independent newspaper’s website in Britain, about the 1992 Kennedy Assassination Records Collection Act which requires that the balance of unreleased papers related to the assassination and still held by government agencies be published by October 26, 2017. The article admits that most Americans believe Oswald was part of some sort of conspiracy, and even that the 1978 House of Representatives Select Committee on Assassinations had found that there likely was a second gunman who fired at the president’s motorcade. But it still perpetuates the Oswald myth. Then it speculates about possible culprits, such as the Soviets, the Mafia, the Cubans, and even Lyndon Johnson. But it never mentions the Jews. Subsequently, it has been reported that Trump acted to hold back a few thousand documents, bending to CIA and FBI appeals to keep the records secret for reasons of national security. The drama may never end, and perhaps it is all a charade. 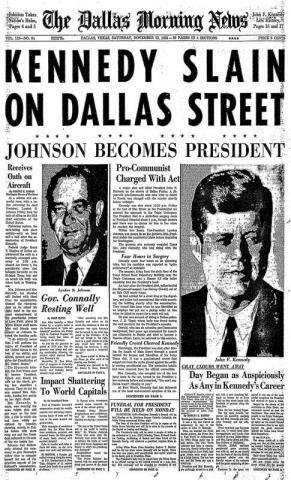 In a few days it will have been 54 years since the assassination of President Kennedy. So tonight we shall hear from a friend, who may not really be a specialist on this subject, since he has had other work to do, but he has at least spent a great deal of time focusing his energies on studying the assassination of John Kennedy, and we are certain that he will offer us a balanced and thoughtful perspective…. Contrasting the religion of the Sadducees with that of the Pharisees in his Wars of the Judaeans, Book 2, the Judaean historian Flavius Josephus had said “164 But the Sadducees are those who compose the second order, and take away fate entirely, and suppose that God is not concerned in our doing or not doing what is evil; and they say, that to act what is good, or what is evil, 165 is at men's own choice, and that the one or the other belongs so to everyone, that they may act as they please. They also take away the belief of the immortal duration of the soul, and the punishments and rewards in Hades.” Of course, the Pharisees which Josephus wrote about were the successors of those who rejected Christ, and while Christ despised the Sadducees completely, and while for many reasons He had also criticized the doctrines of the Pharisees, the Pharisees nevertheless believed in the eternal spirit of man which the Sadducees had rejected, and the judgement of good and evil. A few centuries later, following after the model of the Pharisees, the Roman Catholic Church continued the doctrine concerning punishments and rewards in Hades. Then they used that doctrine not only to put fear in the hearts of the people, but to reap profits from them. However speaking of His ἐκκλησία, Christ had said in Matthew chapter 16 that “the gates of hell shall not prevail against it.” Christ was not speaking of an institution when He said that. Rather, the word ἐκκλησία describes those whom He had called, which are the body of the people of Israel, as it was also used throughout the Greek Scriptures. So in Brenton’s Septuagint we read from Psalm 21, which speaks prophetically of Christ Himself: “20 Deliver my soul from the sword; my only-begotten one from the power of the dog. 21 Save me from the lion's mouth; and regard my lowliness from the horns of the unicorns. 22 I will declare thy name to my brethren: in the midst of the church will I sing praise to thee. 23 Ye that fear the Lord, praise him; all ye seed of Jacob, glorify him: let all the seed of Israel fear him.” In that passage the word church is from the plural form of ἐκκλησία, and it refers to the collective masses of the children of Israel. In the King James Version of the Psalms, the corresponding Hebrew word is translated as congregations. Throughout the Middle Ages, the Roman Catholic Church thrived on a religion of fear, even going so far as to sell indulgences to the people in order to alleviate their fear. 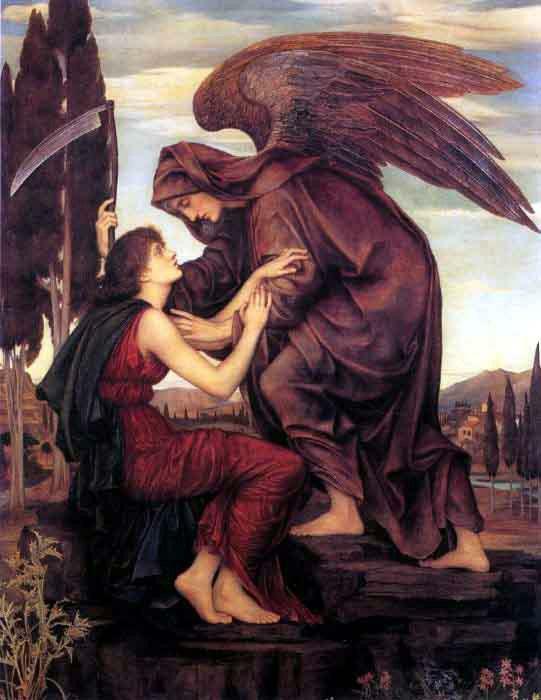 The Church had taught people that their departed loved ones were suffering in Hades or in Purgatory – a concept which is missing from Scripture entirely – but that if they paid a certain sum to the Church, their loved ones could be forgiven for their sins, relieved of their sufferings, and pass on to heaven. So the Church was basically bilking the people out of their money by manipulating their consciences with feelings of guilt for reason of their own profit. At the height of an internal debate over the justification of such indulgences, and when the Church practice was ultimately justified by the councils, that is when the Reformation was sparked. Here we begin our presentation of Paul’s second epistle to Timothy. This is the last in our series of commentaries on the epistles of Paul of Tarsus which we had begun with the epistle to the Romans in the Spring of 2014, and it is now the 117th presentation in this series. Undertaking this endeavor, we did not present Paul’s epistles in chronological order, but rather we found it appropriate, with a couple of exceptions, to present the pastoral epistles to Timothy and Titus last in order of Paul’s epistles, and also present the other epistles as they are ordered in most Bibles. One exception was the epistle to Philemon, which is not truly a pastoral epistle and which in its historical context is connected to the epistle to the Colossians, so we presented it along with that epistle. Another is the epistle to the Hebrews, which was certainly written by Paul although most Bibles order it to follow Paul’s pastoral epistles, preferring to separate it because they are not certain of the authorship. So we moved it to precede Paul’s pastoral epistles, because we are confident that Paul was its author. If we had presented the epistles of Paul in chronological order, we would have had to begin with the epistles to the Thessalonians which were both written during Paul’s sojourn in Corinth, around 50 or 51 AD as it is recorded in Acts chapter 18. Then the epistle to the Galatians was written during Paul's stay in Antioch which is described in Acts 18:22-23. The first epistle to the Corinthians was written as Paul was planning to end his three-year sojourn in Ephesus in 56 AD, described in Acts chapter 19. As we know from 1 Corinthians, there was another epistle written to the Corinthians which preceded it, but which is now lost, and that was probably also written from Ephesus. As Paul was journeying through the Troad and Makedonia after leaving Ephesus, he wrote both the epistle to Titus and the first epistle to Timothy, and prepared to spend the winter of 56-57 AD in Nicopolis. During that winter, the second epistle to the Corinthians was written, while both Titus and Timothy had joined him. These events in Paul’s life are briefly recorded at the beginning of Acts chapter 20. [November 5th, 11:30 AM:] I have just posted an expanded version of my remarks from the second half of this presentation at the Christogenea Forum. Jessie Daniels, described as an expert on “the Internet manifestations of racism” on her CUNY page, infuriated social media users after reportedly saying that white families promote racism by default. But this professor opposes all rational thinking by seeking to encourage Whites to disinherit their own children, for fear of being “racist”. This is not an isolated incident. We frequently see similar comments from academics in social media, or from Jews in mainstream media, and the curriculum in most schools and at all grade levels also reflects this same assault on both White racial identity and on traditional family values. But of course, most Identity Christians have known these things for decades, so this is nothing new to any of us, and this is only one aspect of the persistent attacks on our race and our culture which we see emanate very frequently from Jewry. Last week our program was prerecorded, and I must apologize that a file error prevented it from playing on our first stream. But we have four streams on which we play our live programs, and according to our logs the recording had played fine on the other three streams. So I apologize to the people who complained that they listened to the introductory music and never heard the podcast, but I wish they had tried switching to another stream because they would have heard it, and that is one reason why we have four streams, just in case one of them happens to fail. As much as we do this, on a tight budget and a staff of one, there are bound to be some failures. 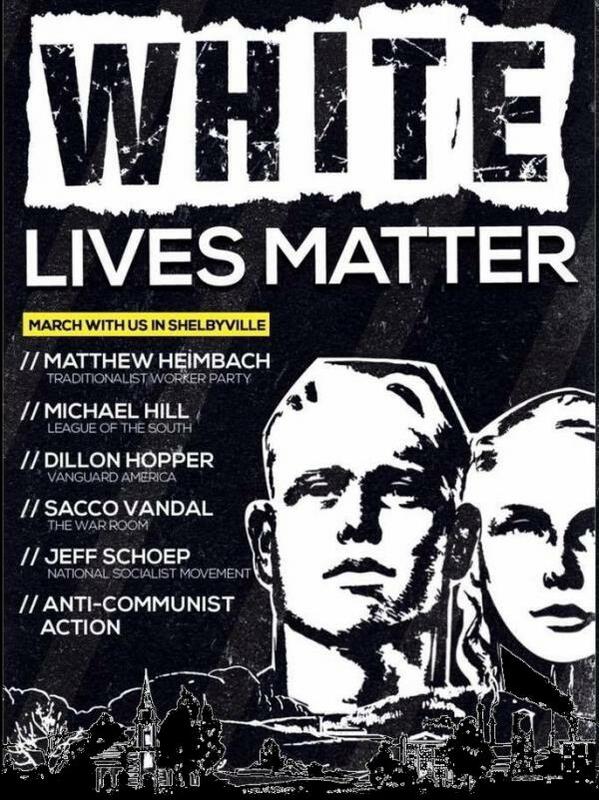 So my wife Melissa and I were at Shelbyville, Tennessee for the #WhiteLivesMatter rally last weekend, and I hope to discuss that at length here tomorrow evening. But for now I will explain just one of the things that happened to us last Friday evening, but I cannot promise that I won’t repeat it tomorrow when I discuss the rally itself. I may indeed repeat myself. I prerecorded last Friday’s podcast so that I could take the time in the evening to go out to the facility that had been rented by the League of the South for members attending the event. Not only were League members staying there, but also some of the people from the Traditional Worker’s Party – Matthew Heimbach’s group – and other so-called “Hard Right” groups that attended the rally. Here lies the danger of ecumenism, that even when disparate groups seem to have the same objectives, if they have different foundational beliefs they will also have radically different views regarding the execution and the fulfillment of those objectives, and there will ultimately be dissension and discord. I do not remember how the debate started, but I met a young man from the Traditional Worker’s Party who was arguing with me in defense of negros. I found it difficult to believe that anyone would argue in defense of negroes at a #WhiteLivesMatter rally, but that was what he was doing. He believes that Yahweh our God created negros, and that negros are men but only a little different from us, men who could even choose to “come to Christ and be saved”, as he put it. And this is the failure of traditionalism, but it is also the failure of the Kinist movement, which is a sort of obscure semi-Christian racialism that is blended together with Calvinism.